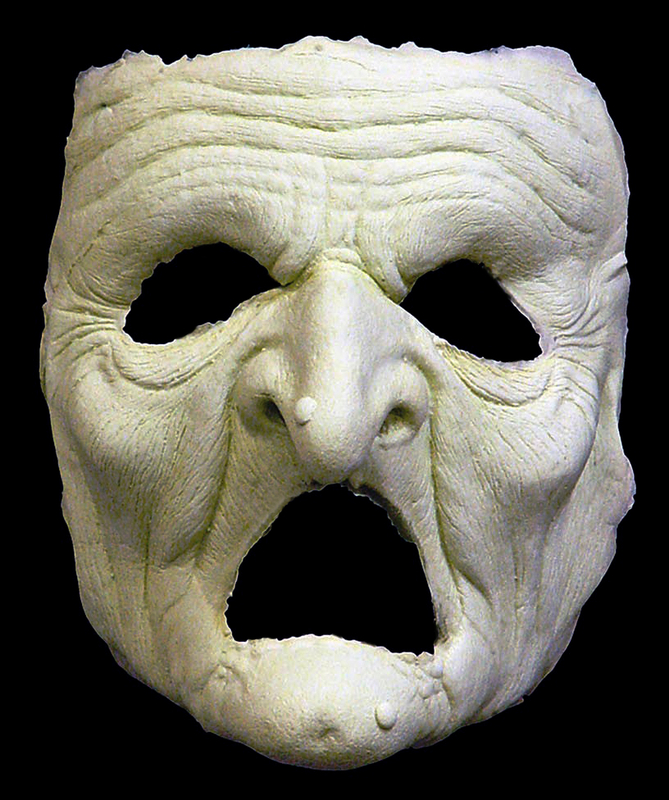 Other masks, often made of slip cast latex, require that you remove them to eat or drink. Our Swamp Witch mask is different. Because of the design, you can eat and drink without having to take the mask off. In addition, our masks have extremely thin edges, so they can be easily blended into your real skin. When applied properly, you won’t be able to tell where your mask ends and when your skin begins. Our masks are made of soft foam latex so they are comfortable to wear for long periods. 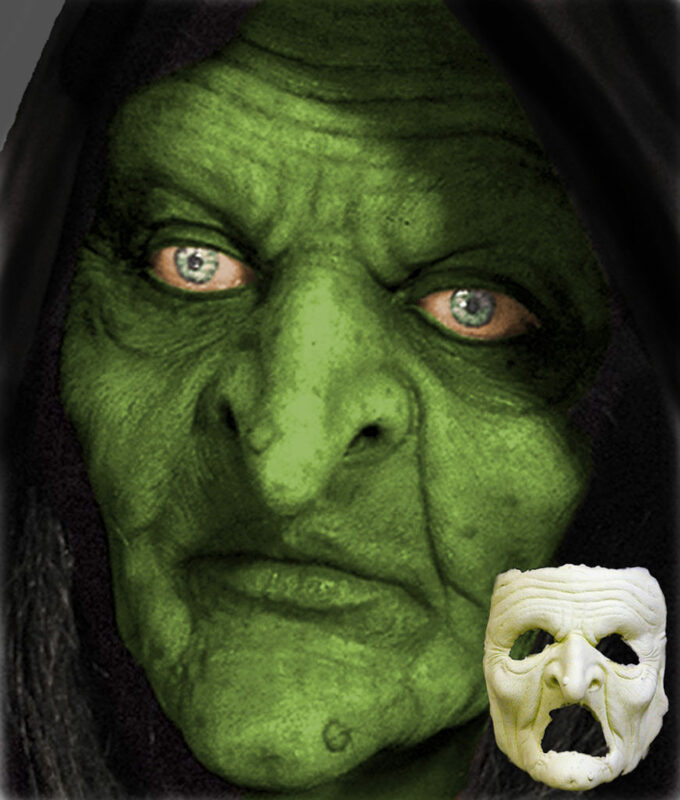 This witch mask is part of the Woochie Pro FX line of foam latex masks, known all over the world for Hollywood quality and styling. Download our FREE Foam Latex Appliances: Make-up Application Guide (PDF). You’ll learn how to attach your mask, apply the makeup, blend the seam into your real skin, remove and properly store your mask.